1 Gorgeous open ended toe ring that will fit any of the three centre toes with or without a little squeeze adjustment. Arrives in a clear gripseal pouch. Please see our jewellery boxes section for presentation boxes. 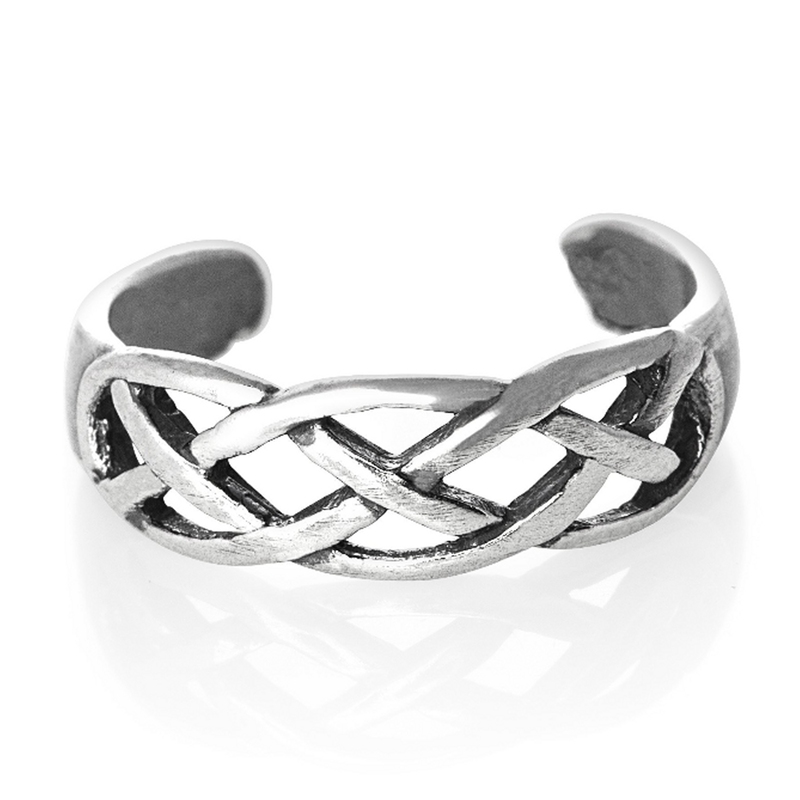 This one has an open weave celtic design. Unlike gold, silver and 925 silver does not require a hallmark for pieces under a 7.78 grams. All the 925 Silver jewellery we sell are way under 7.78g therefore does not require to be hallmarked. Some pieces have been marked 925 but most have not.